In the wake of TransCanada’s announcement that it will no longer be pursuing Energy East, a familiar chorus of politicians have emerged to blame various actors for the pipeline’s demise. The Mohawk nation is threatening to do everything legally in its power to block the Energy East pipeline project, calling it a threat to their way of life. Despite perceptions opposition to the project is harboured mainly by mayors in Quebec, a Mohawk-driven Canadian First Nations movement against the project is picking up steam in other parts of the country. FREDERICTON – The chief of the Wolastoq Grand Council in New Brunswick says the proposed Energy East pipeline project poses too great a risk to provincial waterways, and the council will oppose it. If Kanesatake was meant to lead the fight against the Energy East pipeline in Quebec, things might be getting off to a slow start. Montreal — First Nations women and supporters sent a clear message to TransCanada this Wednesday evening that the Energy East pipeline is not welcome through First Nations lands. 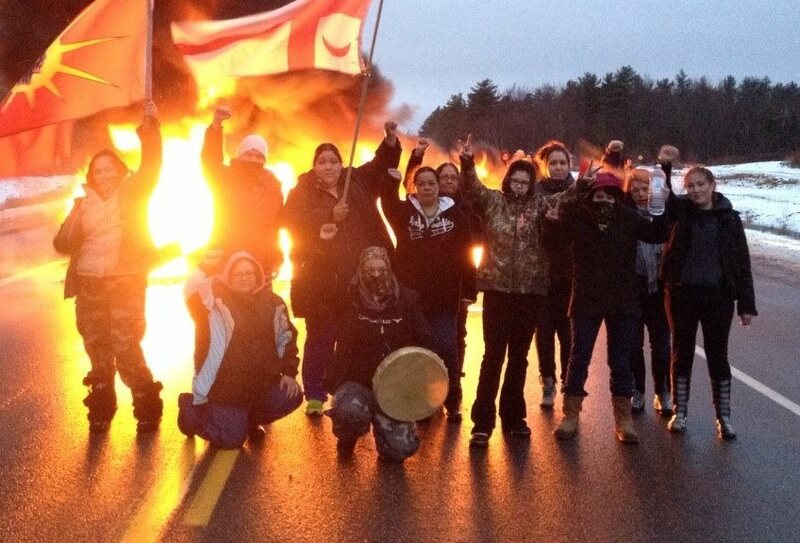 Women warriors at a tire fire blockade on Hwy 11, Dec 2, 2013, during resistance to SWN exploratory work for fracking in Mi’kmaq territory (New Brunswick). Serge Simon steps out of his truck, saunters across Route 148 and into the bushes. He hops over a broken lath fence, landing in the shrubs on the other side of it. As he presses forward, Simon makes a show of quickly ducking, as though some wayward farmer just fired a rifle blast overhead. 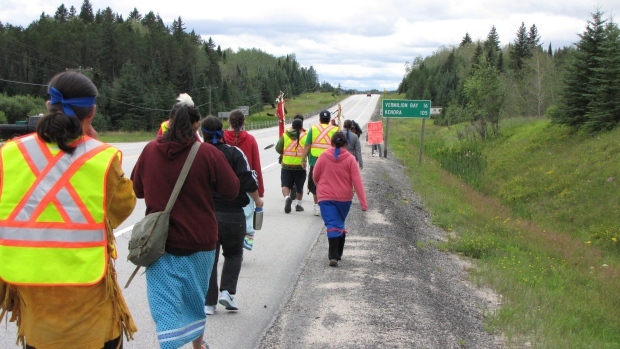 A group of First Nations activists in Treaty 3 territory in northwestern Ontario are walking 125 kilometres of the proposed Energy East pipeline route to demonstrate their opposition to TransCanada’s plan to convert the natural gas pipeline to transport oil. 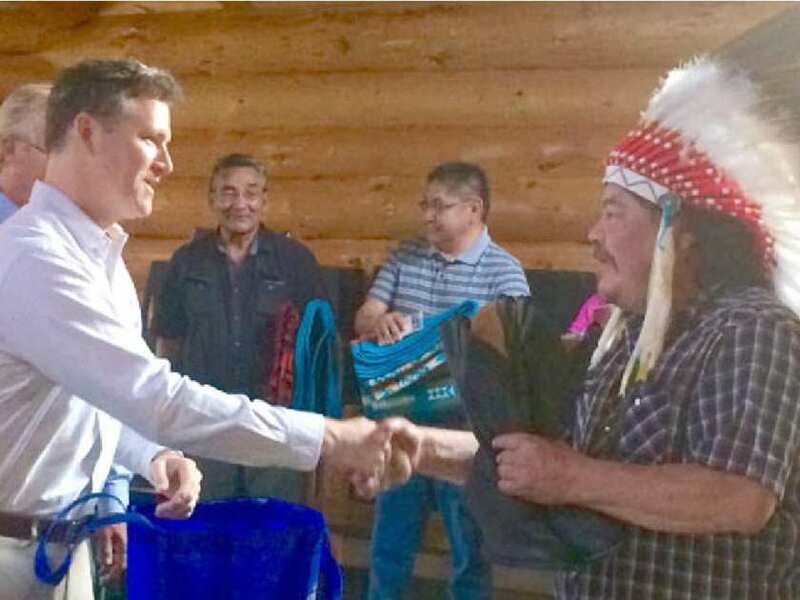 Grand Chief Warren White and Energy East Pipeline President François Poirier shake hands during a traditional ceremony in the sacred roundhouse of the Wauzhushk Onigum community, near Kenora, Ont. TransCanada has quietly been meeting with First Nations leaders ahead of its Energy East pipeline project, signing 32 “capacity funding agreements” with aboriginal communities in the past two years. Through these agreements, the energy firm donates money to a reserve and, in return, gets to pitch its $12 billion pipeline to community members. TransCanada is heavily invested in these deals but insists none of its contributions to First Nations are meant to entice support for Energy East. However, Kanesatake Grand Chief Serge Simon says that accepting said money comes with stipulations he isn’t prepared to honour.